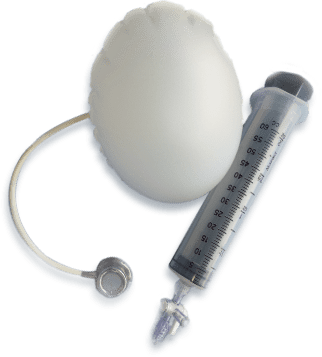 The Adjustable Totally Implantable Intra Gastric Prosthesis (ATIIP) endogAst® is a new mini-invasive technique for the treatment of morbid obesity. The aim of the ATIIP endogAst® is to induce an early satiety interfering with the satiety control process of the corpus-fundus area of the stomach (gastric accommodation and neuro-hormonal mechanisms) and consequently to induce the reduction of meal introduction and weight loss. 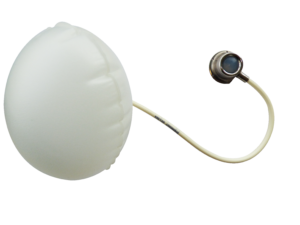 The ATIIP endogAst® is conducted using a surgical and endoscopic procedure. The permanent presence of an air inflated prosthesis inside the gastric corpus-fundus and the fixation to the abdominal wall are the two main principles of the technique. The prosthesis is connected to a subcutaneous totally implanted system.